Codenize Software Services has created the latest DS Screenshot 1.4, an update to their utilities app for iPhone, iPad, and iPod touch devices. DS Screenshot eliminates the time-consuming task of exporting app screenshots and overlaying them onto device images with separate imaging tools. 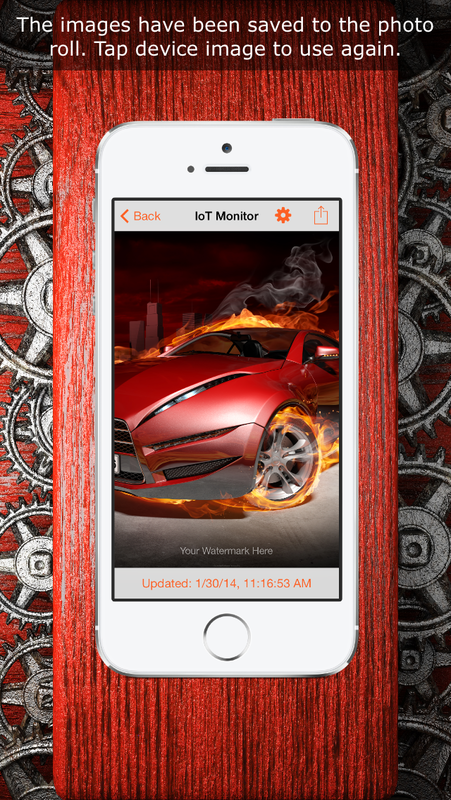 DS Screenshot allows users to add screenshots to their device images simply and easily. First, users take a screenshot by pressing the Power button and Home button on their device. 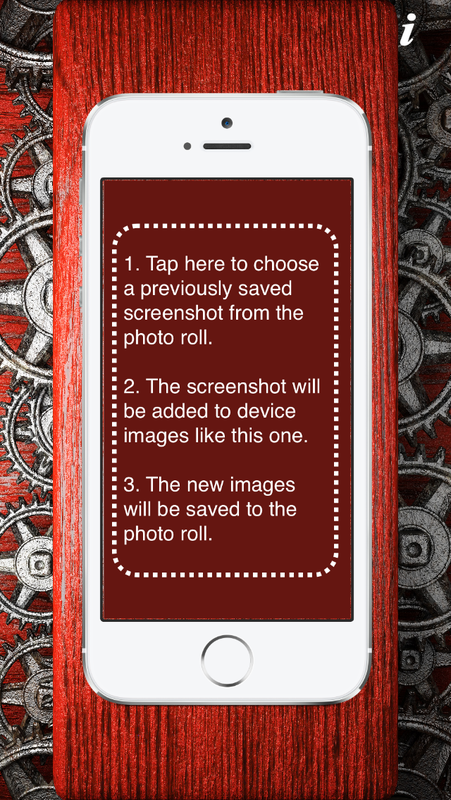 With a tap of the DS Screenshot interface, users can chose the previously saved screenshot from their photo roll. For a horizontal image, users simply select the image while holding the device horizontally. DS Screenshot automatically places the screenshots onto all applicable device images and saves them to the device. DS Screenshot also offers the option to add a single line of text to watermark images. This watermark can be useful in protecting the user's creations and to promote a website, an app, or blog. Additionally, the text positioning of the watermark can be adjusted from the application settings. Once the image is saved, it can quickly and easily shared, uploaded, or printed. The updated version of DS Screenshot fixed an issue with the remove ads function. DS Screenshot makes adding screenshots to device images dead simple ... As an app developer, one of the constant tasks is exporting app screenshots and overlaying the images onto device images with separate imaging tools. This task is tedious and costly because it takes up so much time. We created DS Screenshot to eliminate this cost and effort by automatically placing the screenshots onto all applicable device images and saving them on the device. There is no need to export and edit. Simply choose your saved screenshot from the photo roll and you are done. We believe users will be pleased with the easy functionality and practicality of DS Screenshot. Pricing and Availability: DS Screenshot 1.4 is free and available worldwide exclusively through the App Store in the Utilities category. A paid version that does not include ads is available for an in-app purchase of $1.99 (USD). Halifax, Canada - Based in Halifax, Canada, Codenize Software Services Inc. was founded by Aaron Davidson in 2011. Codenize provides software development services for iOS, Android, and Windows platforms. The company also provides hardware integration services for various devices, such as vehicle tracking units, robotics and industrial control systems. Copyright (C) 2011-2014 Codenize Software Services Inc. All Rights Reserved. Apple, the Apple logo, iPhone, iPod and iPad are registered trademarks of Apple Inc. in the U.S. and/or other countries. Other trademarks and registered trademarks may be the property of their respective owners.